Priscila Barrera, the battery metals reporter for the Investing News Network (INN), looks at March’s major events, announcements and developments in the space. Looking at the major news in the cobalt space, at the start of the month, the new Democratic Republic of Congo (DRC) president, Felix Tshisekedi, showed support for the mining code implemented by his predecessor Joseph Kabila, which was fiercely opposed by international miners operating in the country. “I will be attentive to the grievances of the mining operators through a permanent dialogue,” Tshisekedi said. Some sources said the CEO of top cobalt producer Glencore (LSE:GLEN,OTC Pink:GLCNF) met with the president in March for the first time since he took office, but no details were disclosed. Later in the month, the DRC, which is the world’s top cobalt-producing country, lifted a ban on the export of cobalt and copper concentrates imposed in February, but maintained the threat of future enforcement. Also in March, the London Metal Exchange (LME) launched a new cash-settled cobalt contract based on the index of Fastmarkets. In the fourth quarter, the LME plans to introduce a new contract for lithium, which, along with cobalt, is key for electric vehicle batteries. In lithium company news last month, top lithium producer SQM (NYSE:SQM) reached another milestone after receiving environmental approval for the US$400 million expansion of its lithium carbonate production plant in Chile. 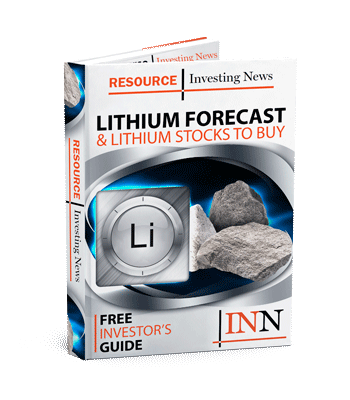 Junior miners also released plenty of news in March, with shares of Bacanora Lithium (LSE:BCN) soaring after reports that Southern Copper (NYSE:SCCO) was interested in investing in the company. Looking over to Australia, Altura Mining (ASX:AJM,OTC Pink:ALTAF) declared commercial production at its Stage 1 Altura mine in Western Australia. Meanwhile, Pilbara Minerals (ASX:PLS,OTC Pink:PILBF) announced that it will enter into a joint venture with POSCO (NYSE:PKX) for the development of a 40,000 tonne per year lithium carbonate equivalent chemical conversion facility in South Korea, taking it a step closer to developing downstream processing capabilities. Staying in the land down under, Neometals (ASX:NMT,OTC Pink:RRSSF) said it will delay a decision on a proposed 10,000 tonne per year lithium hydroxide processing plant in Western Australia due to higher than expected capital costs and weak market conditions. In March, INN was at the Prospectors & Developers Association of Canada (PDAC) convention, where we had the chance to speak to battery metals experts, including Simon Moores of Benchmark Mineral Intelligence, Chris Berry of House Mountain Partners and Howard Klein of RK Equity. We also sat down with CEOs, including Anthony Milewski of Cobalt 27 Capital (TSXV:KBLT,OTCQX:CBLLF) and Guy Bourassa of Nemaska Lithium (TSX:NMX,OTCQX:NMKEF). You can check out all our PDAC content here.